The Gray Angelfish – Pomacanthus arcuatus, makes a sound like a moan in recognition of each other. 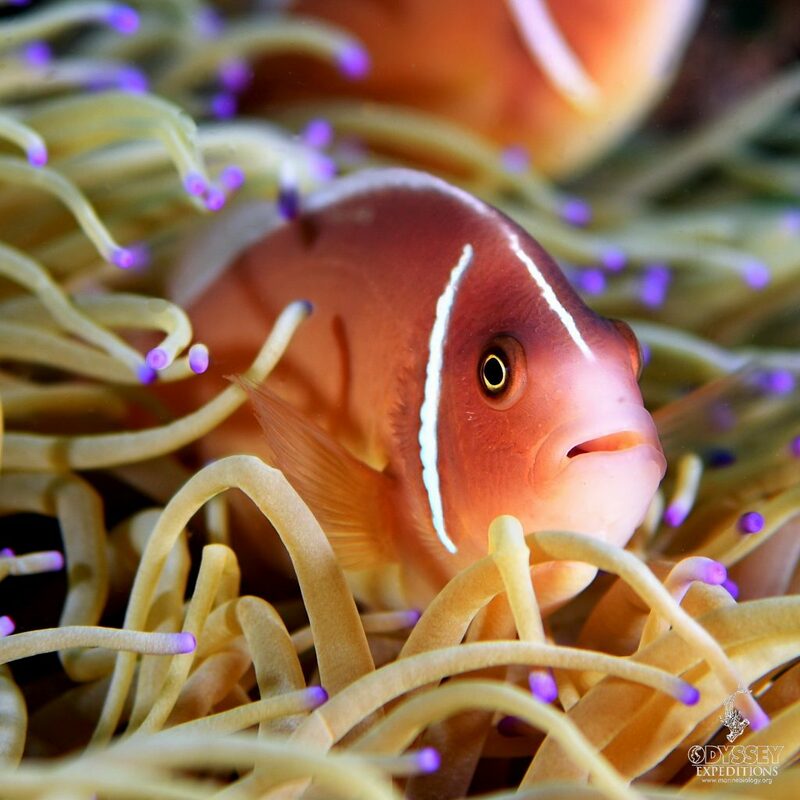 The Pink Skunk is the only species of anemonefish to primarily feed on algae. Royal Mail Ship Rhone wrecked off the coast of Salt Island in the British Virgin Islands on 29 October 1867 in a hurricane. The rusting hull of a shipwreck provides provides the perfect platform for the development of a living reef . Almost immediately a ship comes to rest on the seabed an ecosystem will start to establish itself. 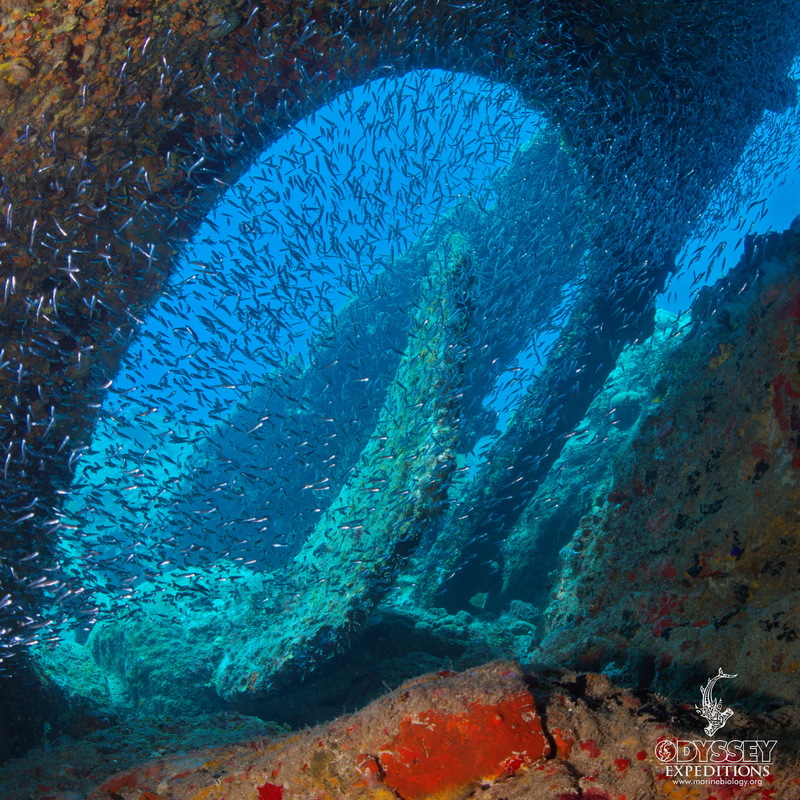 Fish are usually the first to arrive at a new wreck, but are quickly followed by scores of other creatures. This ecosystem will eventually become varied and prolific, with an astounding number of different species often inhabiting a very small area. 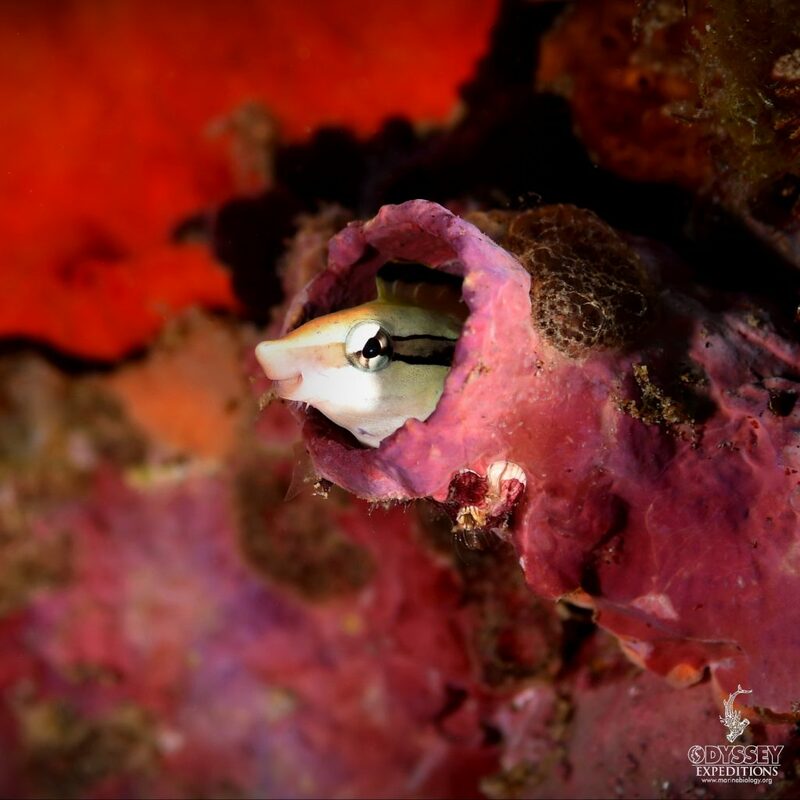 Many species need a foothold or place to hide in the fish-eat-fish world beneath the sea, and ships by their very nature contain a myriad of nooks and crannies that provide perfect homes for many of these critters. The wreck acts as a reef that will provide shelter for numerous species of fish and crustaceans, and the fact that they are usually raised from the sea bed makes ideal habitats for sea anemones, coral and fan worms, which feed by filtering the sea water as it flows by. The stern section of the dive doesn’t offer too much in the way of penetration possibilities but probably has the most beautiful swim through of all wreck. Here is the stern of the ship with its propeller and rudder. The swim through also provides a protected area for the Hardhead silverside sardines – Atherinomorus stipes and Glassy sweeper – Pempheris schomburgkii to gather in great numbers. In a group of clownfish, there is a strict dominance hierarchy. 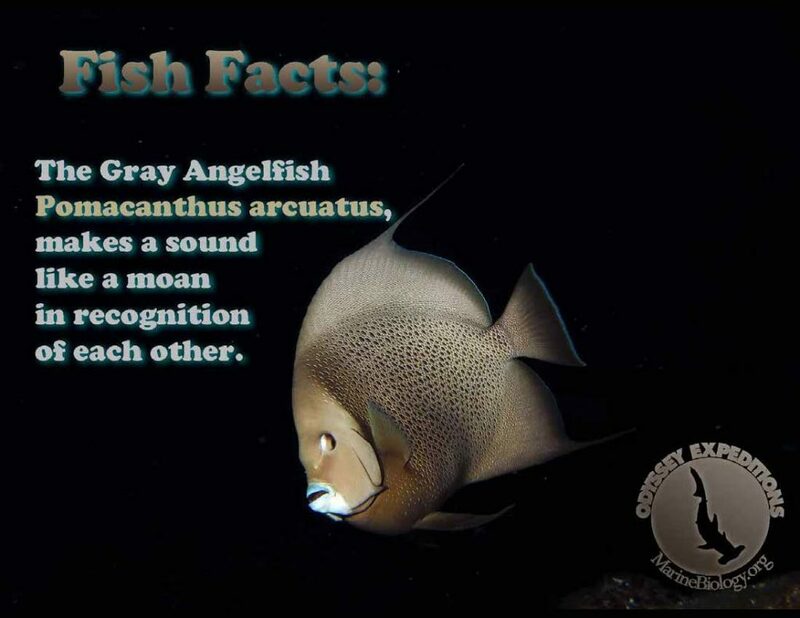 The largest and most aggressive fish is female and is found at the top. 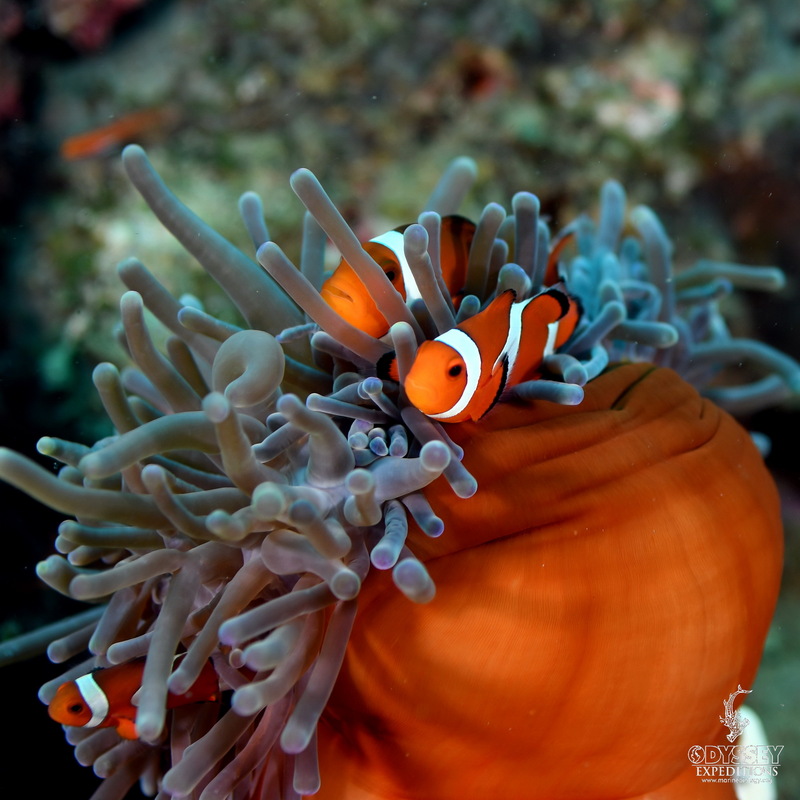 Only two clownfish, a male and a female, in a group reproduce through external fertilization. Clownfish are sequential hermaphrodites, meaning that they develop into males first, and when they mature, they become females. They are not aggressive. Venom present in sea anemone (Heteractis magnifica) induces apoptosis in non-small-cell lung cancer A549 cells through activation of mitochondria-mediated pathway. The longevity of in the wild is unknown, but estimated that some of these anemones are hundreds of years old. The Clarks Anemonefish lifespan is only 14 years. The reproduction of the anemone can be sexual by simultaneous transmission of male and female gametes in the water or asexual by scissiparity,which means that the anemone divides itself into two individuals, separating from the foot or the mouth. That makes me say “Hmmm, very impresive. You can tell a Warty Frogfish from the painted frog fish by the skin being very warty (not so much as still juvenile) and a large triangle patch starting at the eye. 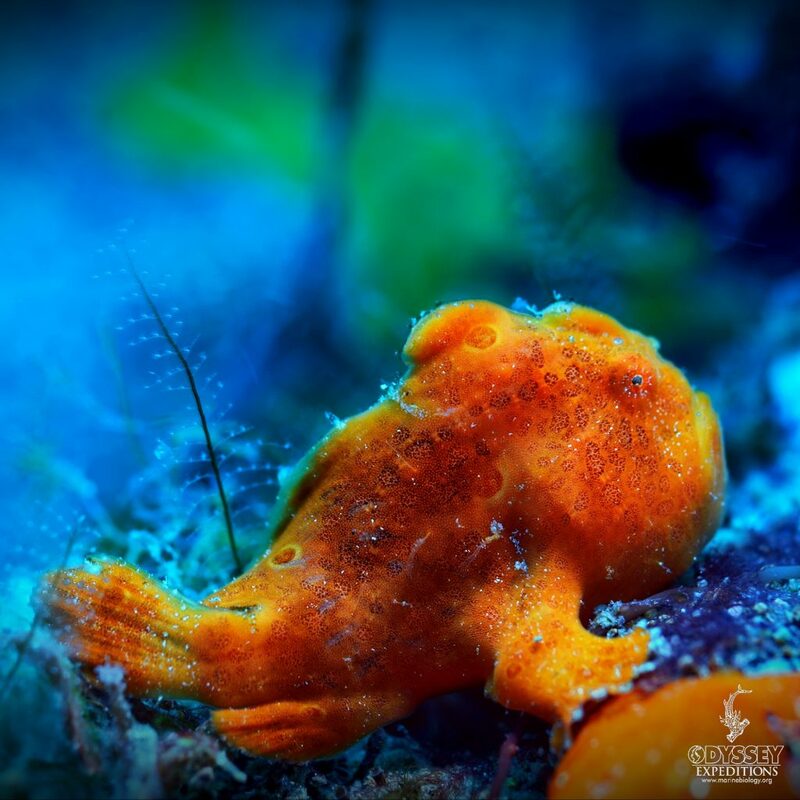 The warty frogfish exhibits biofluorescence, that is, when illuminated by blue or ultraviolet light, it re-emits it as red, and appears differently than under white light illumination. Biofluorescence may assist intraspecific communication and camouflage. Like a combination of seahorse and pipe fish: their tail is prehensile and used for anchorage, winding itself around pieces of algae or seagrass. However, the front part of the body is typical pipefish, with the head and body held in line rather than bent through and angle like seahorses. There is sexual dimorphism and the males are somewhat larger and more robustly built than the females. 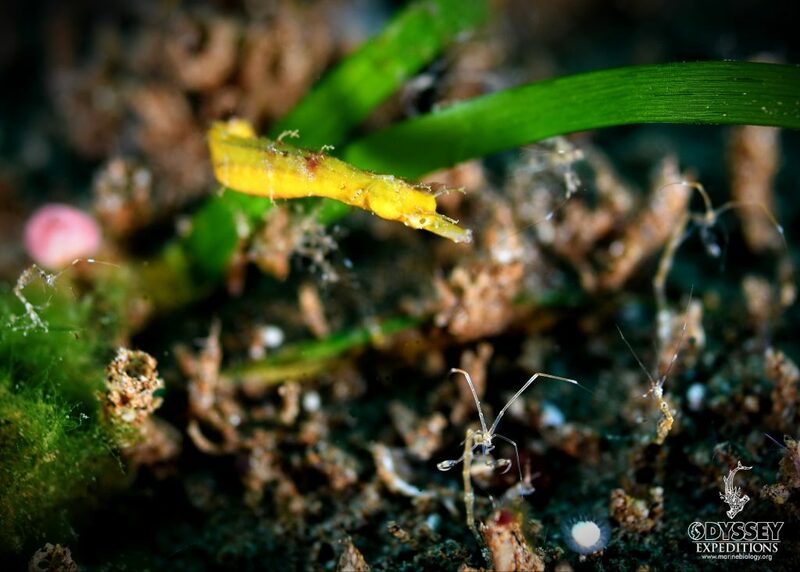 Because they are so small, the brood pouch is also large in proportion to the body, giving the males a somewhat more seahorse-like appearance than the females which have the typical slim linear form of pipefishes. Skeleton Shrimp – Caprellidae family – amphipods. Females carry large number of transparent eggs inside the brood pouch (located on her abdomen) until they hatch. 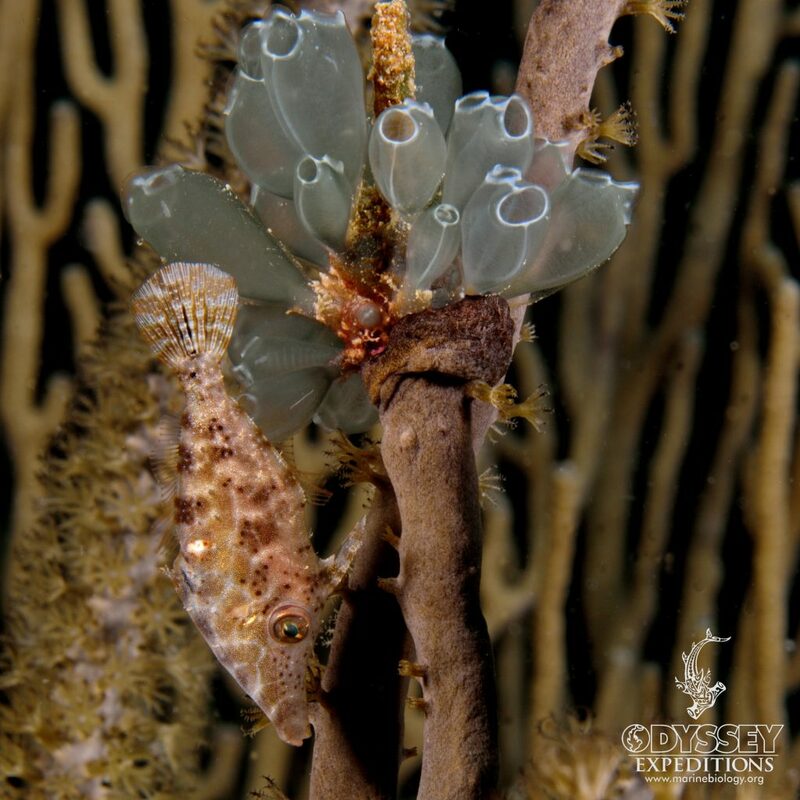 Pookey the pygmy pipehorse gathers his skeleton shrimp friends around to retell the great story of the day that Jon descended down from the waters above. Jon was dressed in a dark fake skin that was stretched very tight. Attached to each of his rear appendages were awkward rubber fins. His blue eyes were concealed behind a layer glass. A great hissing sound followed by a rumble of bubbles escaped from around Jon's mouth in a rhythmic pattern. Hssssss blublublublublublub Hsssssss blublublublublublub! He carried in front of him a great contraption that flashed a very bright light from the orbs at the end each of its antennas - one on each side of a single unblinking eye. Jon stayed only a few moments peering into this contraption and pointing that mysterious eye to and fro. FLASH Hssssss blublublublublublub…..FLASH Hssssss blublublublublublub. FLASH Hssssss blublublublublublub. Then, Jon swam off at a great speed. It was indeed a marvelous day. This filefish is a master of adaptive camouflage, it changes appearance in less than four seconds. 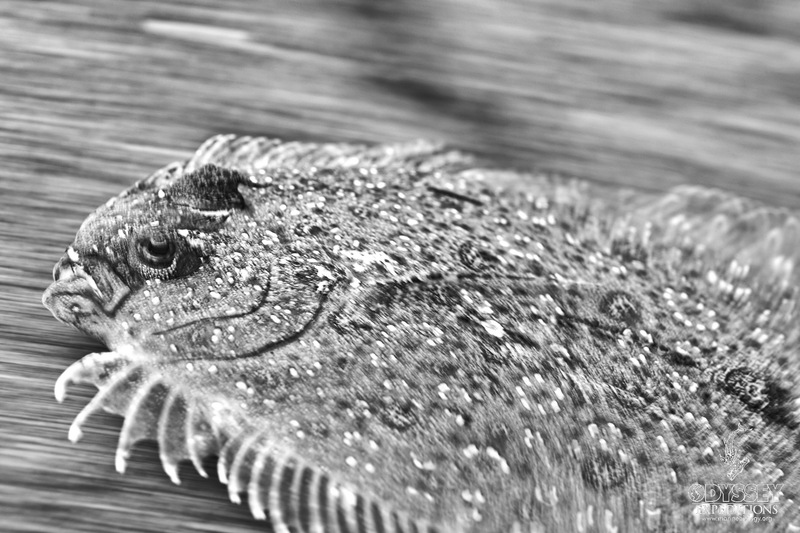 Three-dimensional dermal flaps complement the melanophore skin patterns by enhancing the complexity of the fish’s physical skin texture to disguise its actual body shape. Found over sandy and rocky bottoms. Usually they live solitary or in pairs between gorgonians, sponges or near coral growths. Often they stay vertically in the water. Especially between gorgonians they are difficult to spot in this position. Feeds on algae and invertebrates. Due to the extremely small size of the slender filefish, they do not lie on the seabed as bigger fish do, but use their mouth to grasp the soft corals which prevents them from drifting with the sea currents. 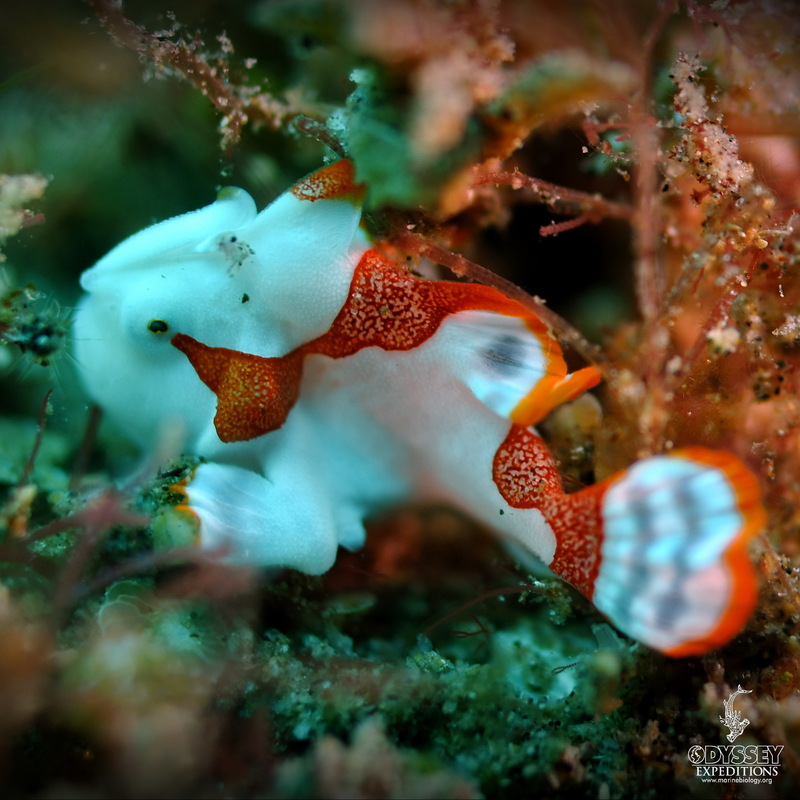 Painted Frogfish – Antennarius pictus – Has a lure which is about twice as long as the second dorsal spine. Nearly always 3 light-edged spots on tail fin. A. pictus shows a lot of different colors and changes them quite often. I was disappointed that I could not capture a photo of the little lure waving about. When I put my camera in the housing I did not get the strobe hot shoe clicked completely in place. This was lighted by holding my dive light from above and I couldn’t produce enough light for a fast enough shutter speed to catch the waving. These are what is known as a false cleanerfish. 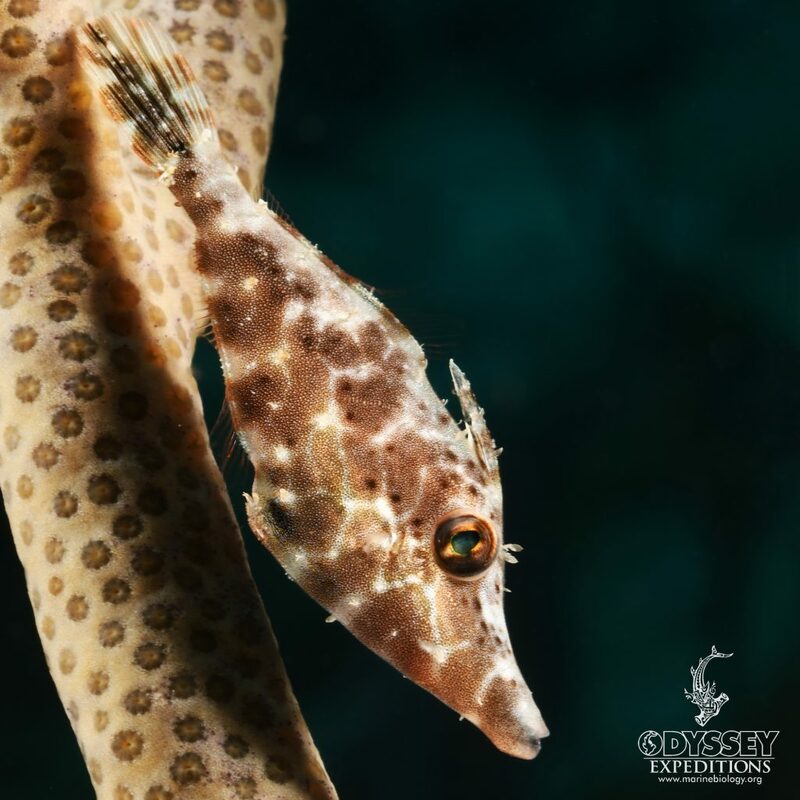 They are noted for their cunning mimicry of cleaner wrasses: by imitating the latter’s color, form, and behavior, these blennies are able to trick other fish (or even divers) into letting down their guard, long enough for the blennies to nip a quick mouthful of skin or scale. The specific name honors the French explorer and trader Jean-Jacques Dussumier. He is known as a collector of zoological species from southern Asia and regions around the Indian Ocean between 1816 and 1840. Dussumier’s name was lent to numerous species, and an entire genus of herrings is called Dussumieria. Lefteye flounders are a family, Bothidae, of flounders. They are called “lefteye flounders” because most species lie on the sea bottom on their right sides, with both eyes on their left sides.